Penance, said the Virgin, as always. But she also predicted the rise and fall of communism, the Second World War, and the attempted assassination of Pope St. John Paul II. Yet amongst these tragedies, she promised refuge in her Immaculate Heart to all who approach her—a promise extended, and urgently needed, today. 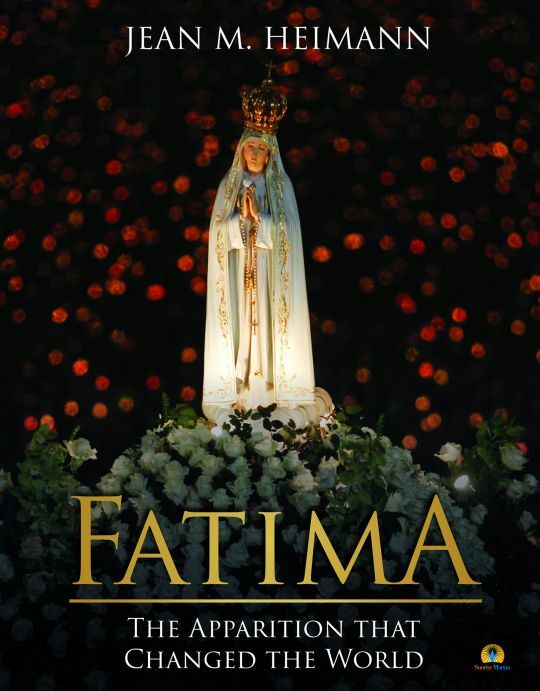 This stunning volume—filled with more than 50 full-color images—is a treasure for long-time devotees of Our Lady of Fatima, as well as a gripping history for those who seek to learn more about the dramatic events related to the apparition that have unfolded over the course of the last century. 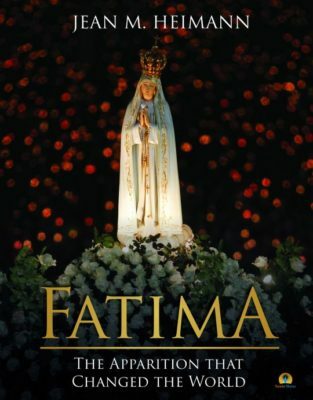 In Fatima, distinguished Catholic author and Blue Army member Jean M. Heimann goes through the events of the apparitions at Cova da Iria and guides the reader through the hundred tumultuous years since the Mother of God appeared to three little children in a small town in Portugal.